Rand Worldwide, the leading solution provider in engineering design and information technology, has added a new wing to their exclusive Scan to BIM product series by introducing Scan to BIM 2016. 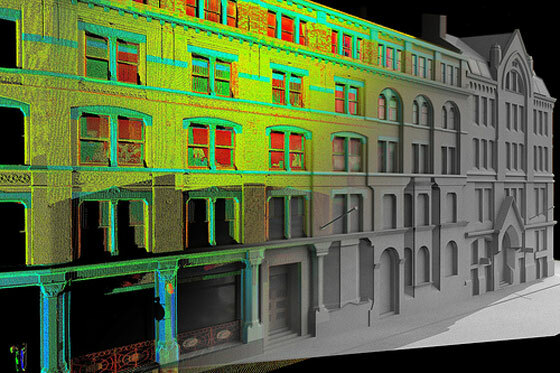 This latest point cloud software supports Autodesk Revit 2016. Besides, IMAGINiT has also unveiled two new products for revit users alias Utilities for Revit, Dependent View Copy and Adjust Pipe which will save huge time for modeling. Several architectural, engineering and construction firms use Scan to BIM 2016 to simplify their reality capture process as it will help the users to generate model out of scanned point clouds easily and efficiently. With this latest software the revit users will be able to speed up the process for producing and validating their model in Revit 2016. New Utilities for Revit: With the inclusion of Dependent View Copy and Adjust Pipe, IMAGINiT now offers nineteen Utilities for Revit. These latest applications can work directly with Revit and the time consuming manual process is reduced in eleven dissimilar design areas. The users can access those tools in IMAGINiT Utilities for Revit 2016. Dependent View Copy facilitates the users to generate dependent views automatically like different levels or floors in a building. By applying the first floor as a basis, users will be able to create supplementary floors of multi-story buildings and get rid of time consuming & tedious work. Adjust Pipe helps to provide a solution to the issue of connecting parts of piping while these are displaced. There are diverse options for fine-tuning these pipes inside Revit to jointly fit them without difficulty. Scan to BIM is accessible in North America via IMAGINiT Technologies and worldwide through resellers in various territories. In order to download a 21 day free trial, Visit IMAGINiT’s Scan to BIM Web page. To download a trial version of Utilities for Revit, visit the Utilities for Revit page. Customers who already obtained the Autodesk Subscription with IMAGINiT, will be able to download a free copy of IMAGINiT Utilities for Revit from the ProductivityNOW Portal.